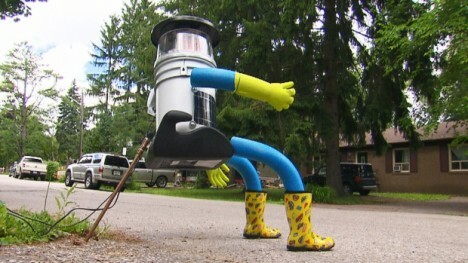 After traveling successfully across Canada and then Germany, this world-famous robot hitchhiker made it from Massachusetts as far as Pennsylvania before succumbing to injuries sustained on the side of the road during an unprovoked attack. Hitchbot managed to see Times Square and tour Philadelphia before being dropped off by drivers late a night and subsequently being kicked to pieces by a passerby. Designed to be picked up and passed along, effectively traversing the country to end up in California, its trip is over prematurely to the lament of its many fans around the globe. The destruction was captured on video, but the perpetrator has not yet been identified. 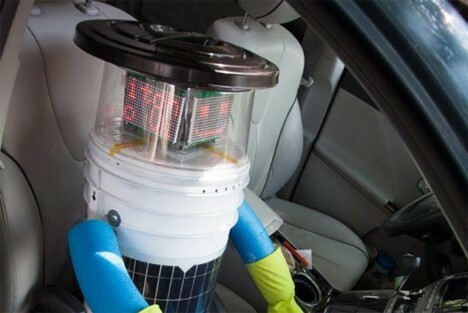 Composed of noodly appendages and a rechargeable computer core, the robot was designed to test human interactions and challenge ideas about road safety (or perhaps confirm them). On the positive side, the bot did manage to survive multiple cross-country trips before this one last fateful middle-of-the-night encounter. See more in Robotics or under Technology. August, 2015.